A tiny bit more of Android-related news coming out of E3, is the announcement of the new Nyko PlayPad Pro Bluetooth controller for Android tablet devices. Controllers like these are designed to making the gaming experience on Android about a thousand times more kick-a**, so once this thing finally hits shelves, you can bet yourself I’ll be picking one up. Pricing is unknown and launch is expected for this year’s holiday season. That’s quite the ways off still, but let’s hope these things are worth the wait. Shadowgun and N.O.V.A. 3 with a full controller like this? Oh yeah, baby. 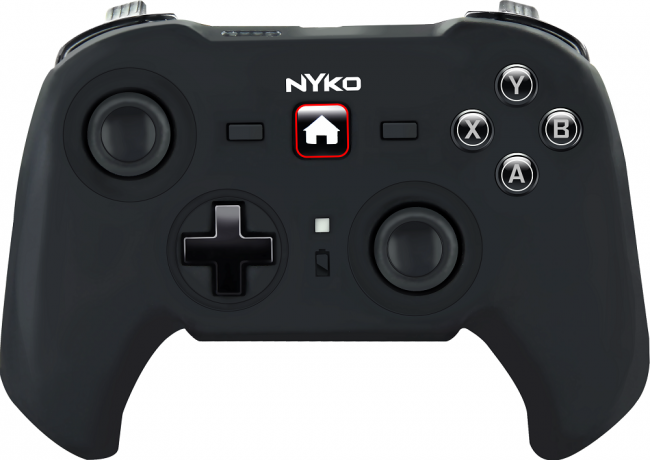 The PlayPad Pro is Nyko’s full-sized wireless Bluetooth® gaming controller for Android tablet devices. The controller features dual analog sticks, a d-pad, face buttons and shoulder bumpers for a console-style control experience on Android devices. Nyko’s complementary Playground app will offer backwards compatibility for other Android games and a variety of button-mapping features, including customized controller layout. The PlayPad Pro will be available at select retail stores nationwide Holiday 2012.